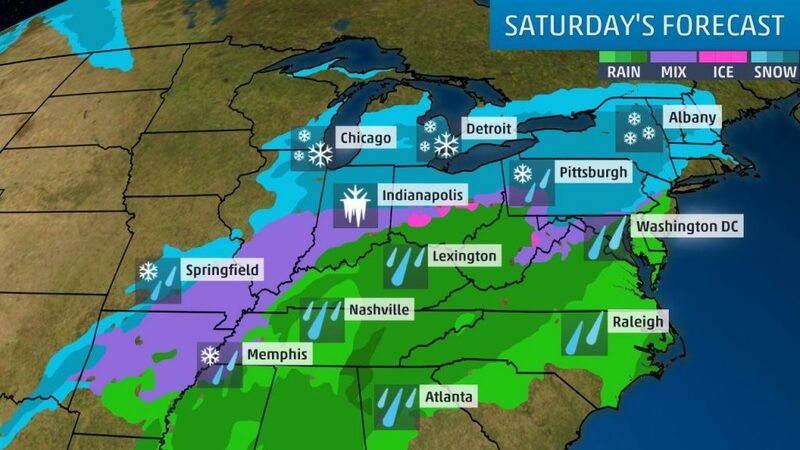 After hitting California severely, major Winter Storm Harper is now ramping up in the Midwest and will hammer parts of the US East coast and Quebec, Canada this weekend, bringing, heavy snow, icy rain, strong winds and freezing temperatures. 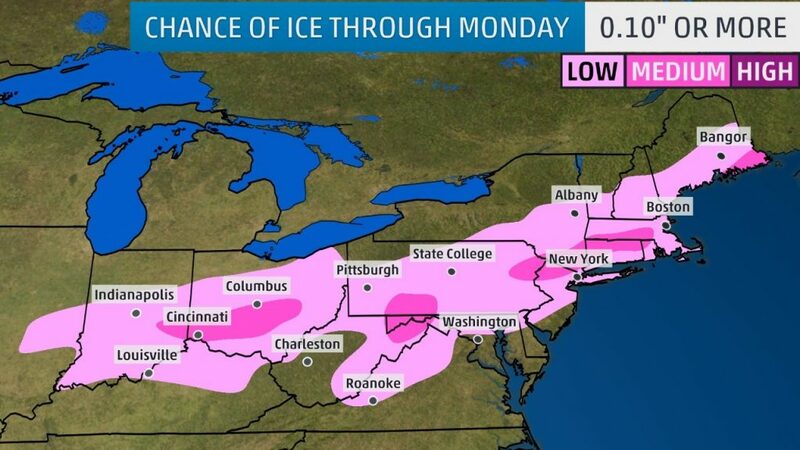 Ice accumulation and power outages are also concerns. Moderate coastal flooding is possible on the Massachusetts coast. Winter Storm Harper has started spreading its mess of snow, ice and wind across the Midwest and into Northeast after already pummelling parts of the West and Plains with heavy rain and snow on Jan. 16-17. 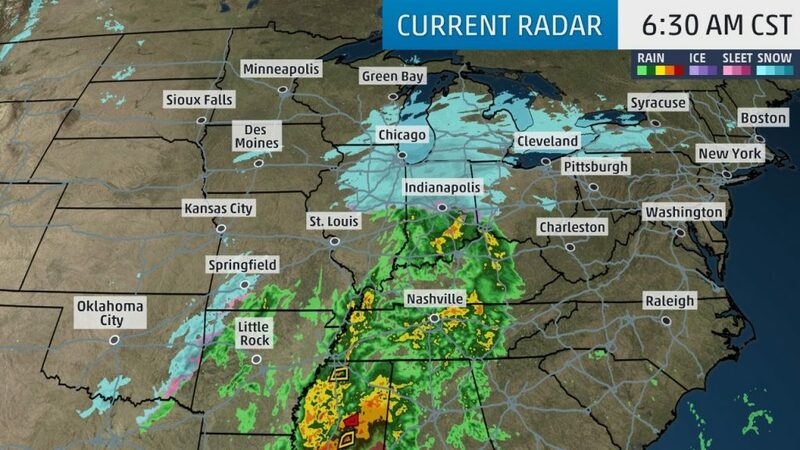 This storm is tapping into cold air as it moves through the central and eastern states through this weekend, delivering a widespread swath of significant snow. 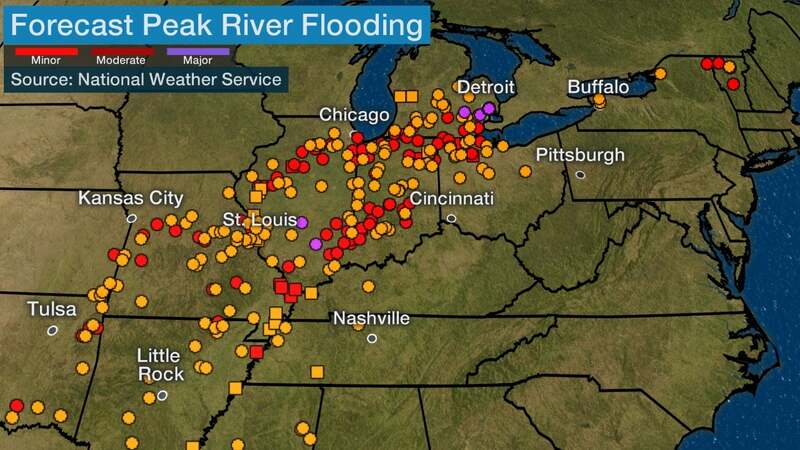 Snow is falling in the Midwest and the southern Great Lakes as of early Saturday. Light snow has also been reported in parts of Oklahoma and Texas, including the Dallas area. 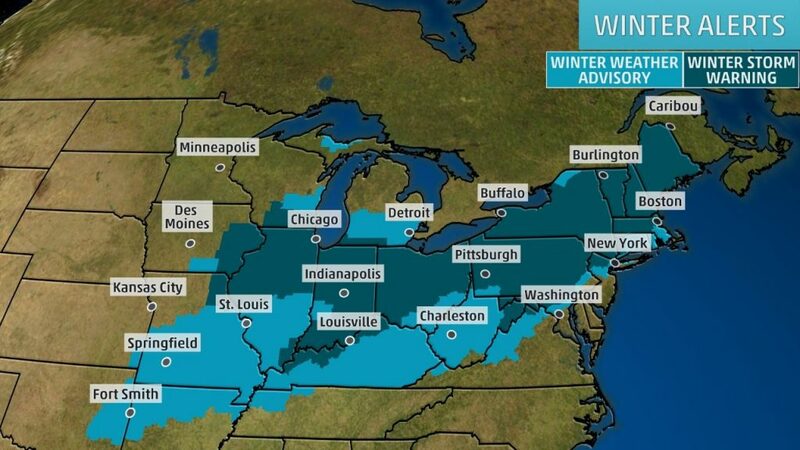 Winter Storm Harper will spread its mess of snow, ice and wind across parts of the Midwest and into Northeast this weekend after already pummelling parts of the West and Plains. More than a foot of snow has already fallen in southeastern South Dakota and southern Minnesota, including a report of 15 inches near Heron Lake, Minnesota through mid-evening. Strong winds in parts of the Plains and Midwest are causing reduced visibilities due to blowing and drifting of snow, even in areas where it is no longer snowing. Airlines canceled hundreds of flights on Friday, snarling travel during the busy three-day weekend. More than 300 flights in and out of Chicago’s two main airports were called off on Friday and more than 600 Saturday flights to and from airports from Chicago to Boston were canceled. Winter storm warnings and winter weather advisories have been posted by the National Weather Service from eastern Oklahoma northeastward through the southern Great Lakes and Ohio Valley and into the Northeast – Chicago, Milwaukee, Indianapolis, Pittsburgh, Columbus, Cleveland, Buffalo and Worcester. 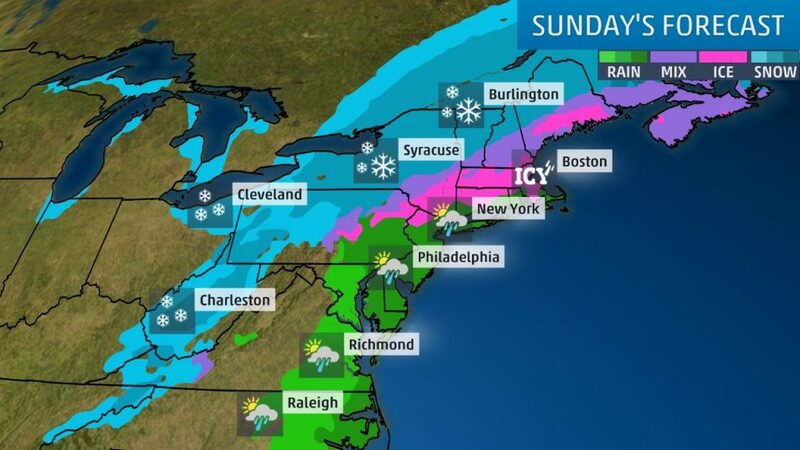 A large area of snow, heavy in some areas, is expected from parts of the Midwest, spreading into the Northeast, with snow arriving in New England mainly late Saturday. Light snow is possible as far south as eastern Oklahoma and northeastern Texas. Strong winds may accompany the snow in the Midwest, potentially leading to near-blizzard conditions in some areas. A band of sleet and freezing rain is possible from Arkansas northeastward into Ohio and the mid-Atlantic states. Saturday night, some freezing rain and sleet may spread into parts of the lower Hudson Valley and southern New England. Precipitation may eventually change to rain along at least parts of the Interstate 95 corridor late, though the details of when and where that may happen remain uncertain. Snow is expected over the interior Northeast from parts of New York state north of the Lower Hudson Valley to parts of New England. Snow is also expected in parts of the Appalachians from eastern Tennessee through western Pennsylvania. This snow will linger in portions of northern New England Sunday night. Strong winds will buffet much of the East, leading to areas of blowing and drifting snow. Some minor to moderate coastal flooding is possible along the New England and Long Island coasts, mainly during high tide on Sunday morning. Some sleet and/or freezing rain is possible in coastal and southern New England. A flash freeze is also a concern from Boston to New York in areas that get above freezing early Sunday. Temperatures will plummet through the day, freezing any rain or sleet that is on the ground at the time. Although forecast models have come into better agreement, there are still some uncertainties in the forecasts for both snow and ice, fairly typical of any winter storm. As mentioned, the combination of snow, ice and wind may lead to power outages this weekend from the Appalachians to southern New England. 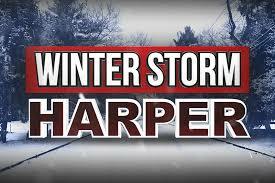 Check back with us at weather.com for updates on Winter Storm Harper. Harper is evolving from a large low pressure system just of the Pacific Northwest coast. Energy from that system spread high elevation snow to the Sierra and rainfall to much of California on Jan. 16-17. At least six people have died during a series of storms in California. Numerous people were rescued from rushing rivers. An EF0 tornado touched down in Fresno County Thursday, damaging a barn. The snow closed Interstate 80 through the Sierra at times as high winds gusted over the mountains and crashes occurred in Donner Pass. Harper spread some snow through the Rockies and Wasatch on Jan. 17 while continuing to provide snow in the Sierra and Cascades. On Friday, numerous slideoffs were reported in eastern Nebraska and northwestern Missouri where light freezing rain is making roads and sidewalks slick. A Southwest plane slid off the runway in Omaha in snowy and icy conditions. Here are selected snowfall and ice totals since 4 a.m. PST Wednesday (Jan. 16). Some totals may include snow from other disturbances, especially on the West Coast. For snow, only totals greater than 6 inches are included. Winds gusted over 130 mph in parts of the northern and central Sierra late Jan. 16 into early in the 17th. Mammoth Mountain even gusted to 164 mph with a sustained wind of 132 mph early on Jan. 17. Meanwhile. Canadian authorities have published a rare extreme weather alert for Montreal and surroundings. 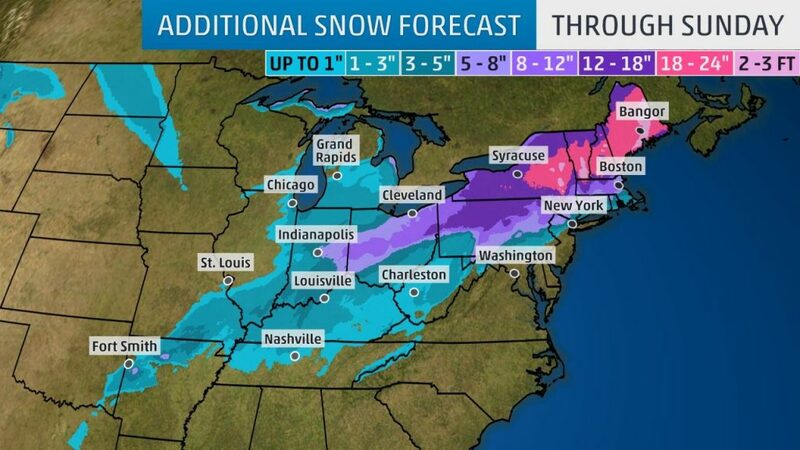 A major winter storm is on its way to wreak havoc the US and Canadian East coasts. Be ready! In North Alabama, the heavy rain started yesterday around midnight and ended this afternoon. It was so much rain that I was worried about the foundation of my house on hillside. Computer Graphics??? The section between 4:10 and 4:11 is completely unrecognizably different. Something missing? Or Computer graphics without complete sequences? At 3:35 with fire but at 3:36 without fire??? If you stop at 3:47 and 3:48, the fire coming out under the rocket looks really FAKE. I tell you this is the product of computer graphics. Cannibal Reptilian Prince and the husband of Cannibal Queen Elizabeth made an accident by driving his Land Rover. His car was turned over, but he did not get injury (Where is the Karma Law???). The witness said he was shocked and shaken badly. Today’s Schumann resonances is very strong. I tell you that many low vibration people are going to die and leave the Earth. You might able to see so many ambulances on the road and so many patients in Emergency Room.